Has your pet industry business ever put out a press release? If not, you may have missed some fabulous opportunities to reach thousands of new customers and build high authority backlinks. Don’t worry, there will be plenty of opportunities to come. Any time your business creates a new product, starts offering a new service, expands to a new area, hosts an event, is nominated for or wins an award, you can raise awareness with a well-crafted press release. Not only does your business need to have news to share, that news should be framed in a way that helps journalists and publishers understand why their audience needs to know what’s going on in your business. Publications receive numerous press releases each week. They’ll skim yours for just a moment before snatching up that wonderful piece of news, or tossing it in their virtual recycle bin. To get a publication’s attention, you must make sure your news is, well, newsworthy. Many companies put out a press release when they begin selling a new product, but these releases can come off as an advertisement. A publication generally does not want to just give away free advertising in the limited space they use to deliver the hot content they painstakingly curate for their readers each day. Emphasize how your news is going to benefit the publication, by of course benefitting the reader. If you don’t have anything newsworthy to share, arrange a charity event or even a publicity stunt. Think about the headline you’d like to appear in – one that readers can’t help but click. Keep asking yourself, “so what?” as you craft your headline. Ask yourself “who cares?” as you mull over the perfect email subject line. Then, write a press release that is brief and to the point. It should answer the 5 Ws as early as possible. WHO? – Who does your message need to reach? Who is involved in the story? Lastly, who are you, and who is your business? WHAT? – Well, what’s going on? WHERE? – You can distribute your story internationally, and “online” can be a location, just be sure to include a URL in your call to action. If you are holding a local event, don’t just include the address, include some information to help visitors find you. Is there a sign out front? What about parking? WHEN? – What date, what time is your story taking place? WHY? – This is the most important W of all. Give them a reason to care. After you’ve written your punchy press release, it’s time to distribute it to anyone who could help you spread the word. Picture your newest customer. What do they read? What do they watch? What do they listen to? Mass-distribution through press release distribution services are impersonal, though your release will automatically get picked up by syndicators. Depending on the results you desire, you may be able to quickly reach a large audience this way. But you will need to take a more personal, targeted approach for a better chance at reaching potential customers. Most journalists are easy to reach via email. They typically prefer that you paste the press release in the body of an email, rather than use an email attachment that may be cumbersome to open. You can also reach journalists, bloggers and other influencers via social media. Publishing the press release as a blog post is another way to distribute it to people who might be difficult to reach via email, as well as those who are already familiar with your business. 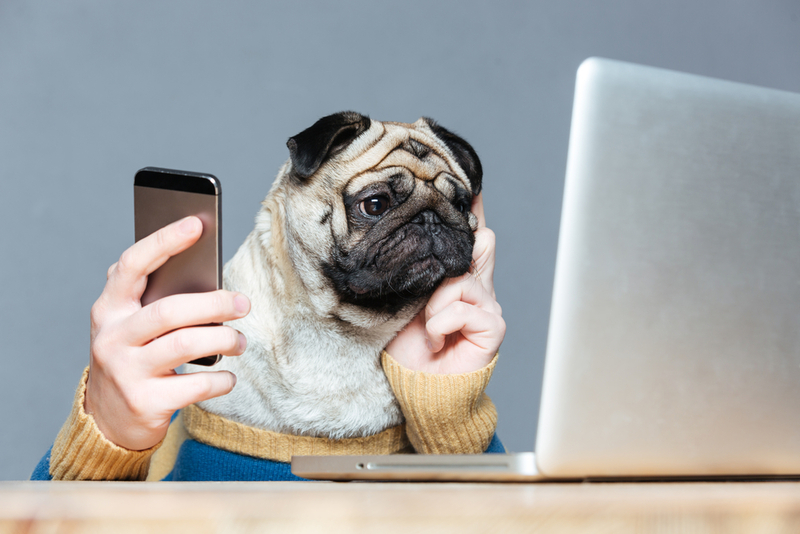 Many pet industry businesses are forgoing traditional press releases for informational blog posts about their news; others publish several versions of the story to accommodate different mediums. I know that this article is going to leave you with more questions than answers. There’s no simple formula for crafting and distributing a press release. Each distribution plan has to be tailored to your particular story and your goals. I’d love to work with you to help write your press release and distribute it. This is one of the many services I offer to pet industry businesses that have a story that needs to be shared. Let’s talk!